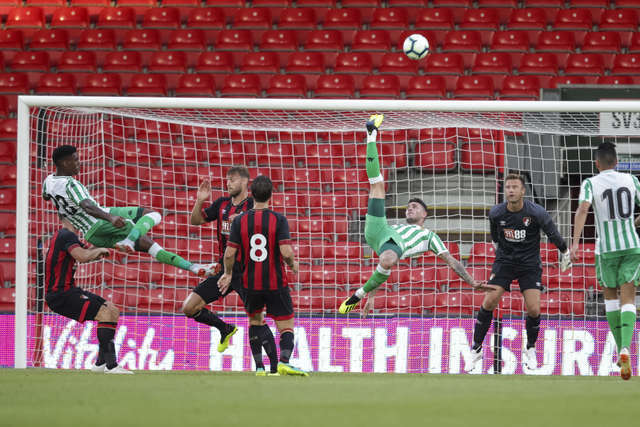 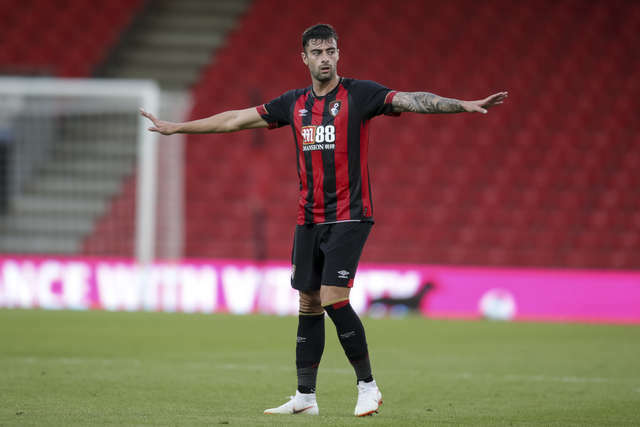 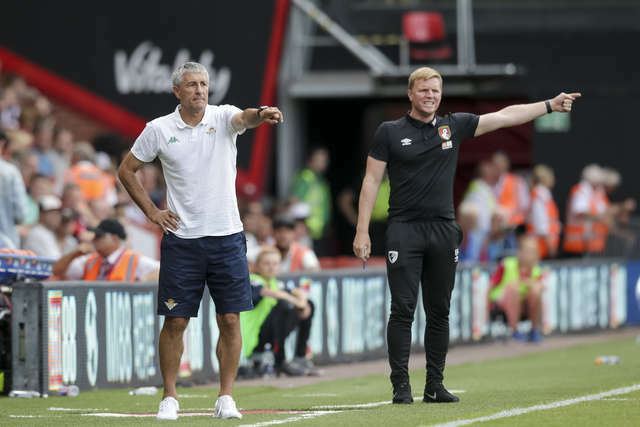 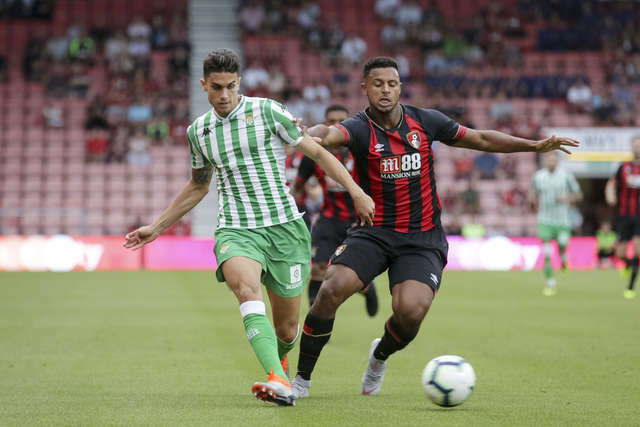 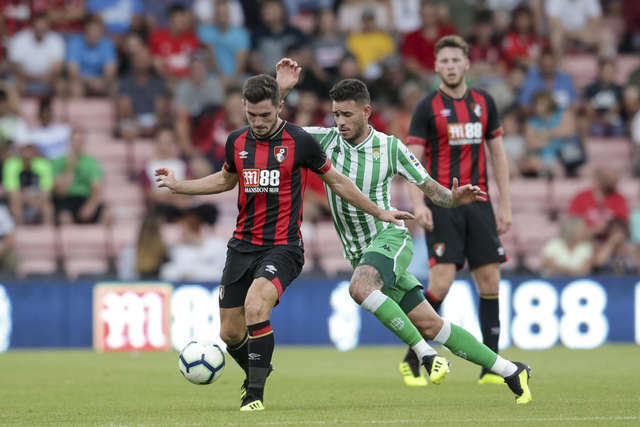 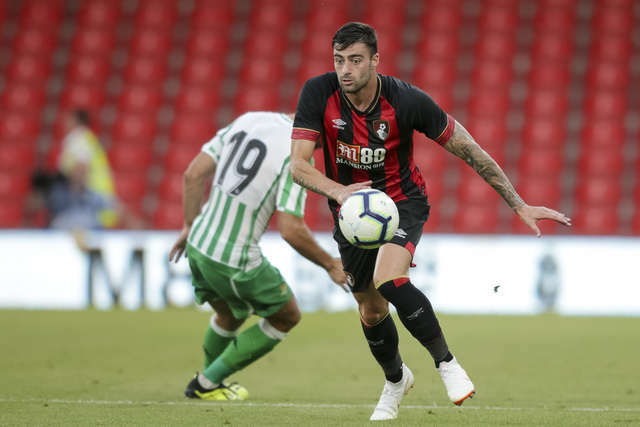 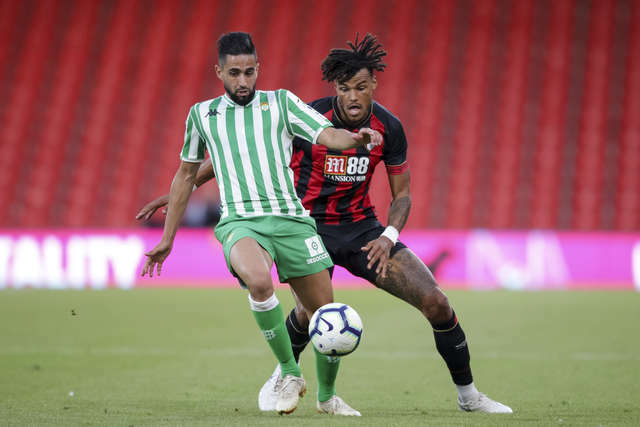 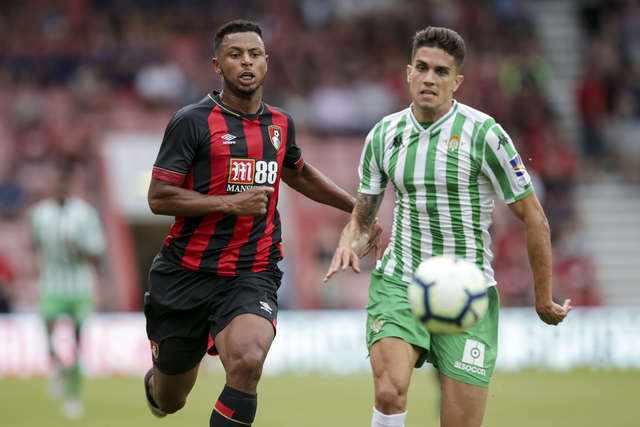 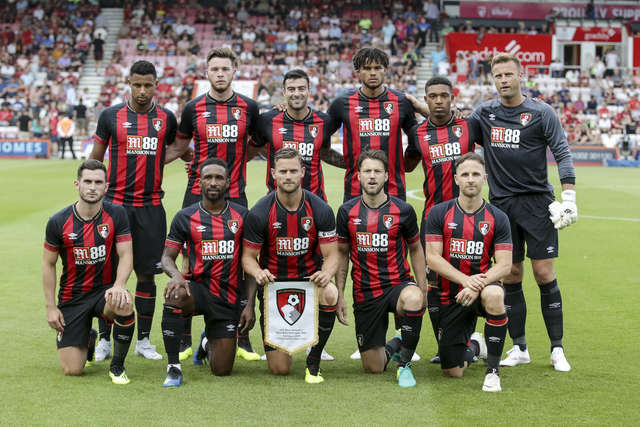 Real Betis beat AFC Bournemouth 2-0 in the Cherries' penultimate pre-season friendly. 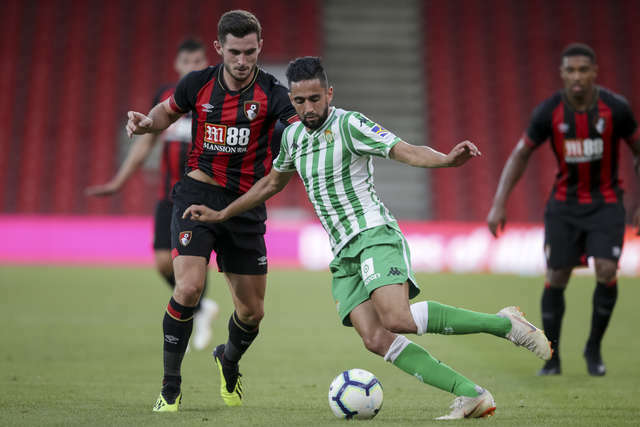 The Spanish side took the lead in the first half after a goalkeeping error allowed Ryad Boudebouz to open the scoring. 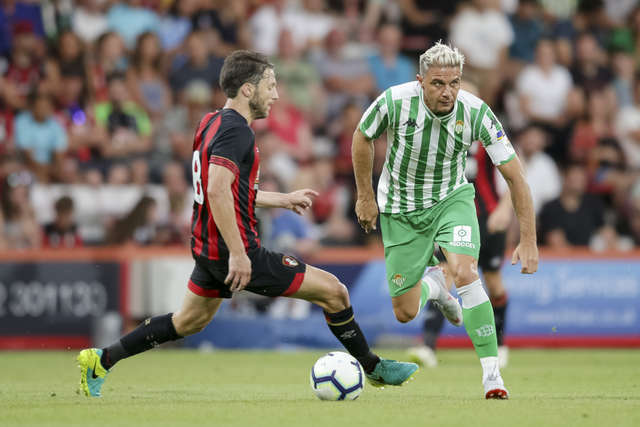 Both sides created half chances in the second period, but while the football was generally fluid it took until the closing moments for Betis to double their advantage, Joaquin's delightful lofted ball finished by fellow substitute Loren Moron. 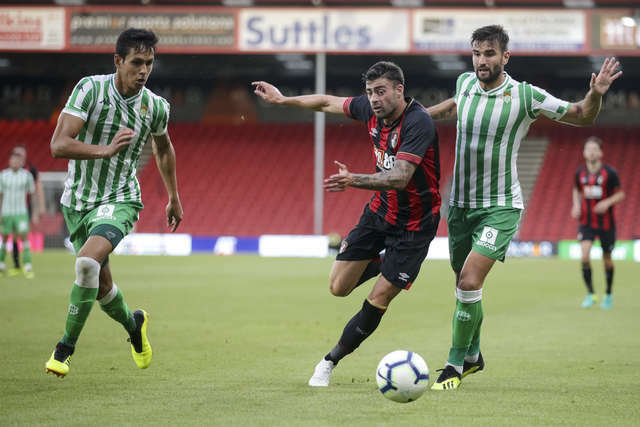 The visitors began the game on the front foot, a succession of corners needing to be defended assuredly by the Cherries defence. 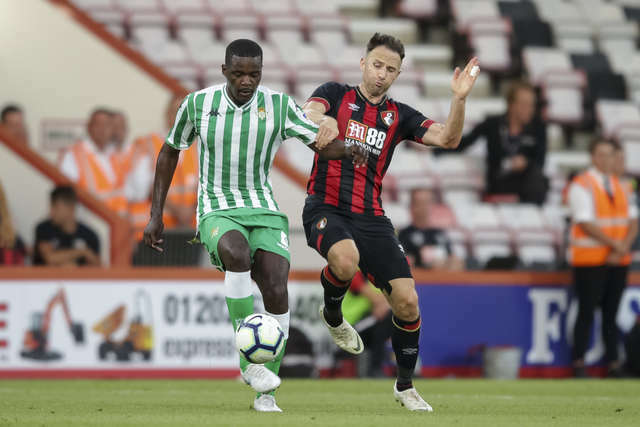 Both teams were playing possession football and the home side were soon giving as good as they were getting, before a mistake in the 17th minute allowed Betis to take the lead. 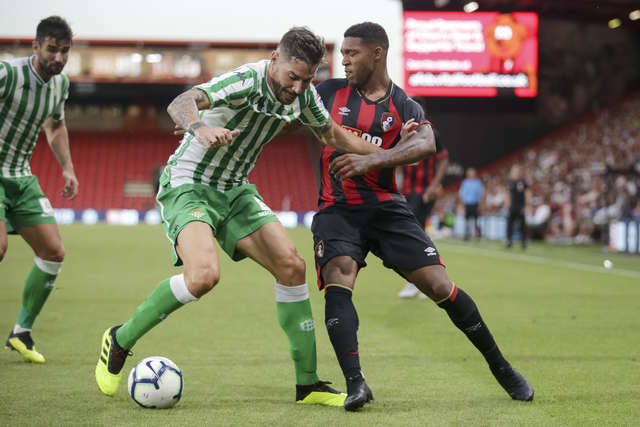 A ball forwards saw Boudebouz chasing, Artur Boruc seemingly in charge of the situation outside his area, but missing his kick and allowing the Betis man to slot home into the unguarded net. 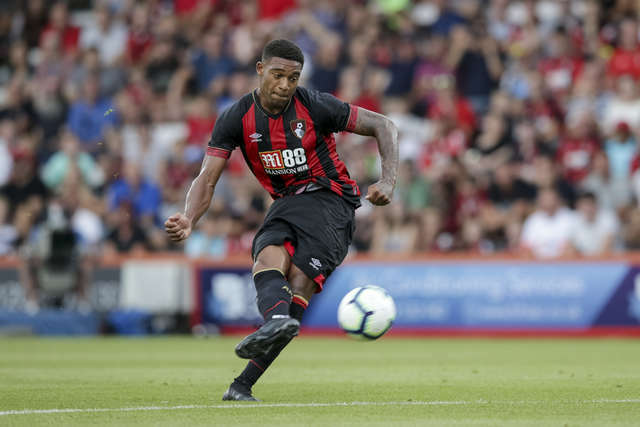 Jordon Ibe, increasingly a feature of the action, twice looked for a rapid reply but saw one shot go wide while another was blocked, the busy Lys Mousset then testing Joel Robles' handling with a free-kick. 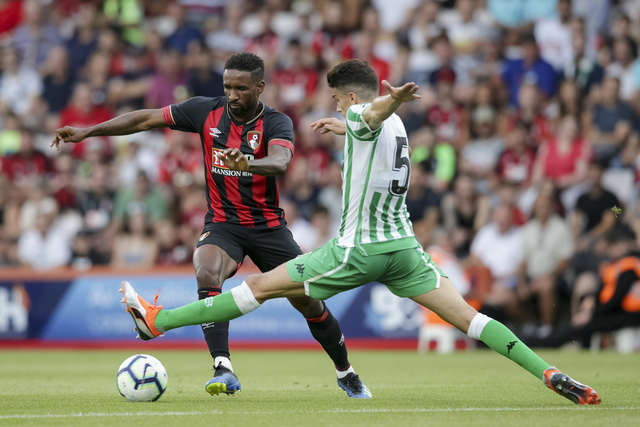 Marc Pugh worked his way into the Betis box, played back for Jermain Defoe, and the striker got a shot away that was parried by Robles and followed up by Ibe, though from six yards the Cherries winger again saw his shot saved. 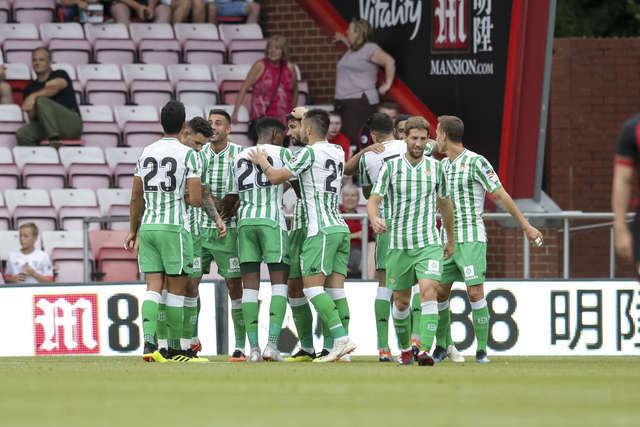 Betis almost doubled their lead on the stroke of half time, only for Boruc to make a fantastic save as he repelled Junior Firpo's downward header, with Antonio Sanabria unable to turn home the rebound from close range. 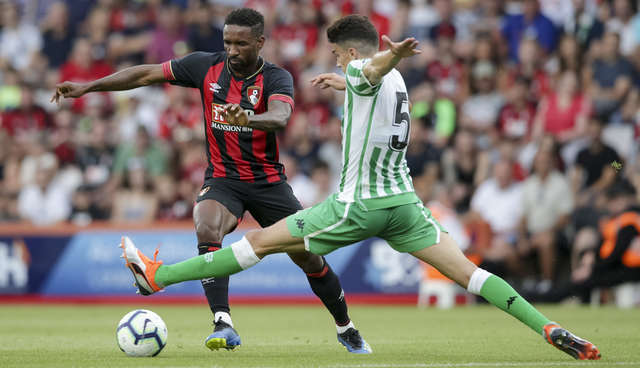 The same 11 that ended the first half started the second for Bournemouth and a moment of typical Defoe instinct nearly paved the way for an equaliser as the striker turned sharply to get beyond his man, before striking a low shot that just beat the far post. 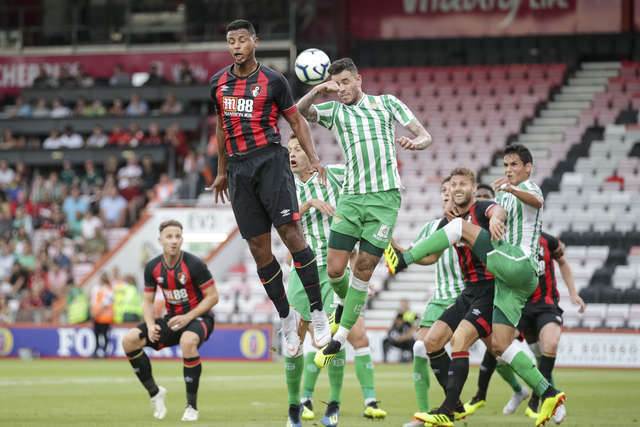 Ibe then had a shot himself from 20 yards, just tipped over by the 'keeper, Jack Simpson heading the resulting corner just past the angle. 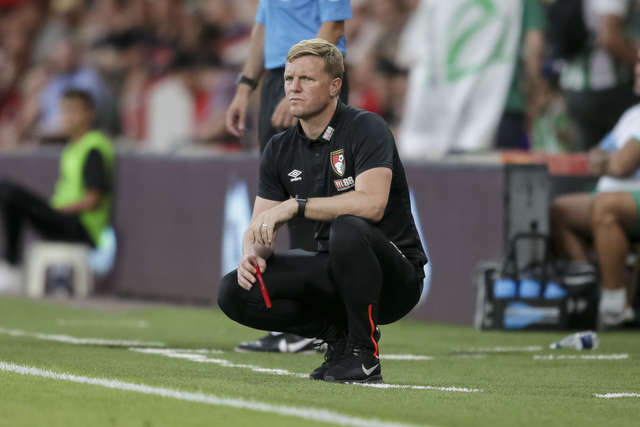 Veteran Joaguin's quality then told in one of the closing moments of the game as he cleverly dinked a ball through the Bournemouth backline, Moron alive to the opportunity to pounce and slide his finish in off the far post. 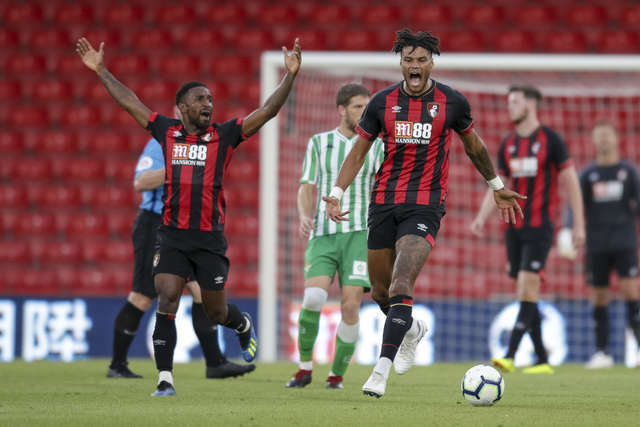 Forming a central-defensive partnership with Simpson, Tyrone Mings put in a strong performance that hinted at his ability to lead a defence. 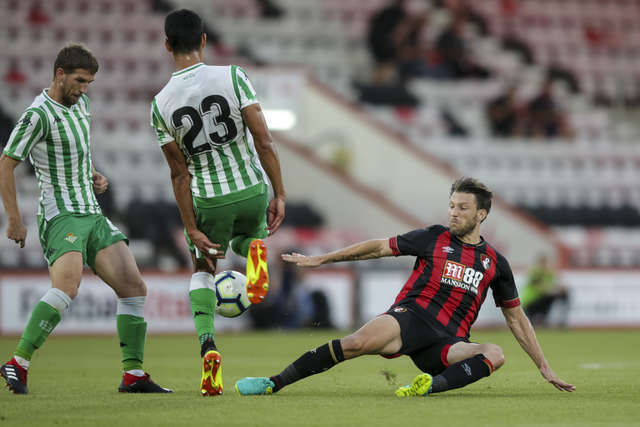 The 25-year-old - who made a return from a frustrating back injury at the tail-end of last season - won a number of headers from crosses, showing his pace when needed while also being assured bringing the ball out from the back. 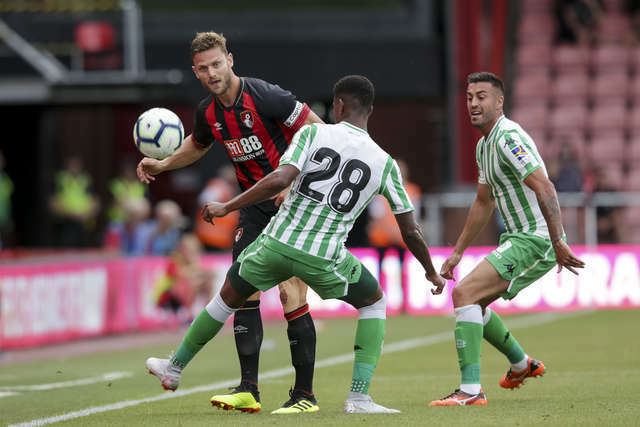 Full time at Vitality Stadium marked the halfway point on a big weekend of action at the home of the Cherries, hosting two bright lights of European football. 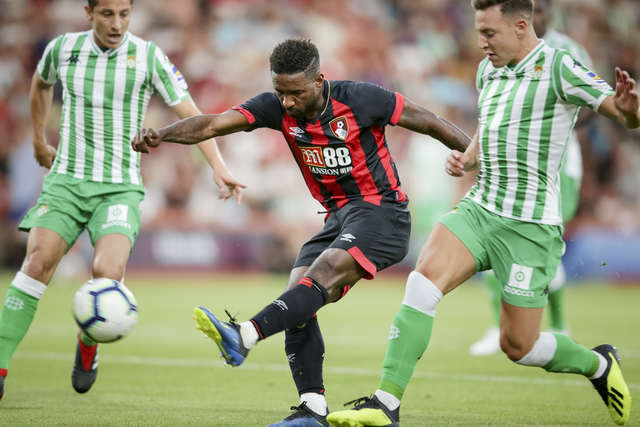 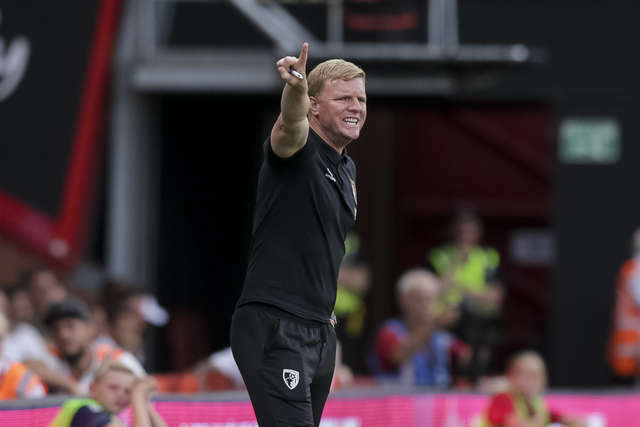 Coming up against a very different challenge from that faced a week ago against Championship sides Bristol City and Nottingham Forest, Eddie Howe's side were required to pit their wits against a Betis side keen to build from defence while looking to incisively press when out of possession. 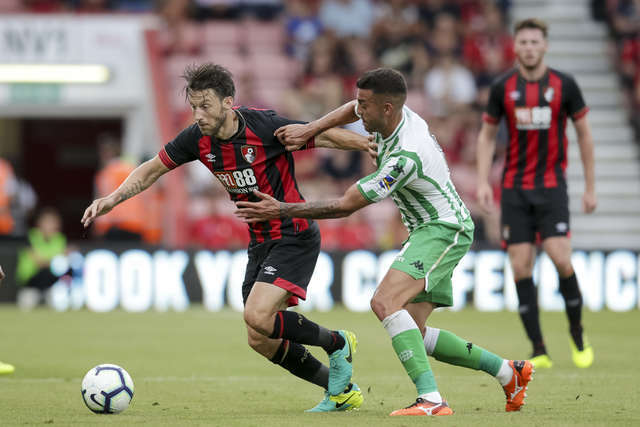 There could be a similar prospect on Saturday afternoon, the Cherries hosting Marseille in their final pre-season test just seven days before Cardiff City head to Dorset for the big Premier League kick-off.